Hooray! The sun’s finally back out here in London and I bribed Mr Thisblogisnotforyou into taking some pictures of my recent makes. 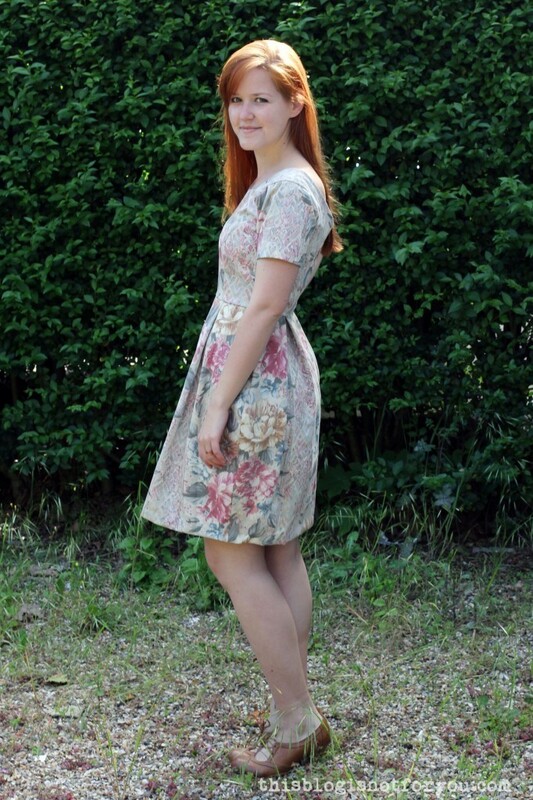 After almost a year I finally, finally managed to sew the Elisalex dress by BHL. I know, you have seen hundreds of Elisalex dresses last seasons and might not find it as exciting as I do, but I think it’s never too late to become an Elisalex owner. This dress is just soo fabulous. 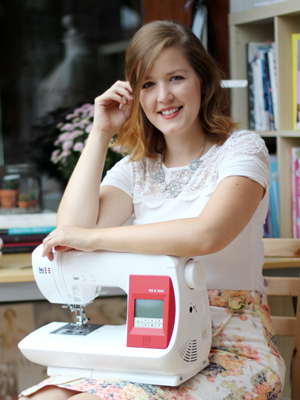 Normally I complain a lot about what went wrong during the sewing process, but this time I really can’t complain about anything – except for my inability to stand straight on gravel when wearing heels. This is why I risked showing you the ugly front of our flat..ehh our neighbours flat, of course. We surely are not the ones with the pealing paint and empty flower pots. 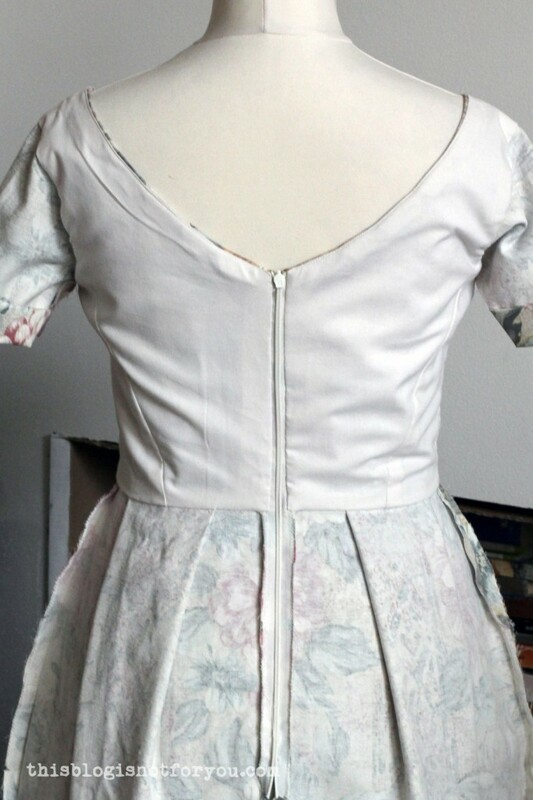 I hadn’t made something with princess seams in quite a while, so I actually made a toile, which fit so well that I ended up using it as bodice lining – win! 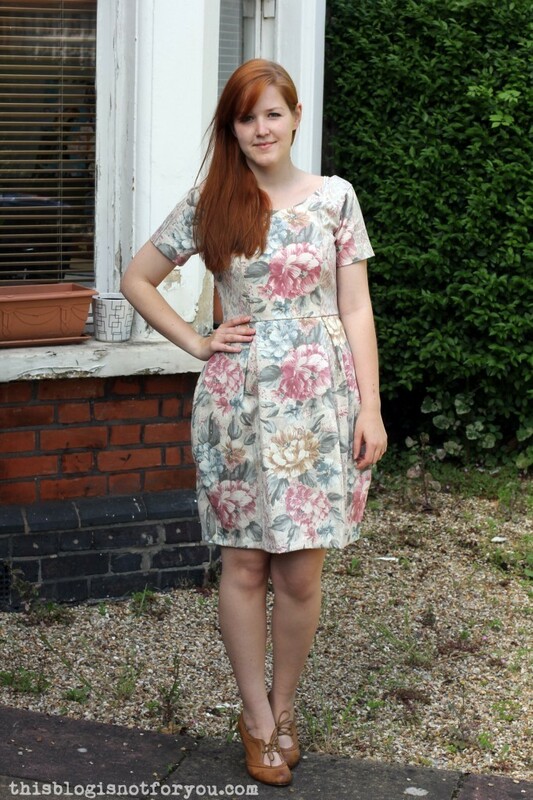 I cut out a size 10 – according to the BHL measurements it’s exactly, EXACTLY my size. Since the skirt is super voluminous I didn’t even have to grade up the bottom part. Another win! I decided to make the sleeves and skirt shorter and after some squeezing I used up much less fabric than was recommended on the pattern. Whoop, whoop! As for the fabric, well. 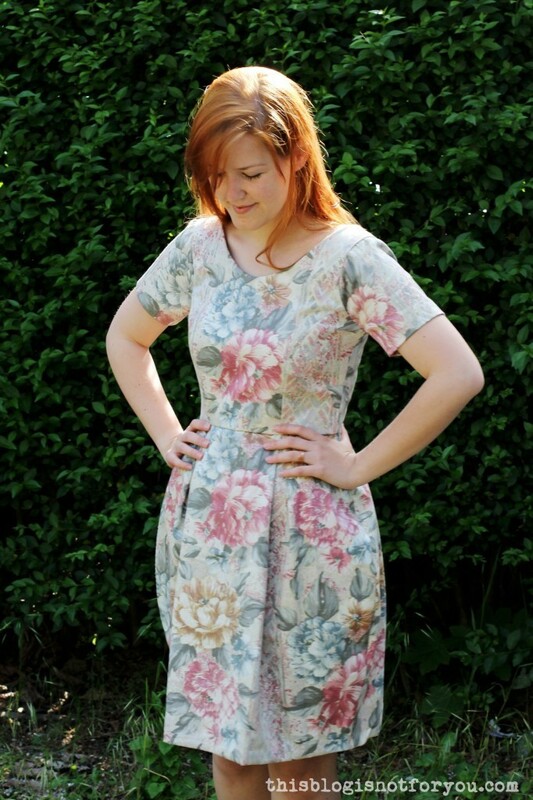 I was inspired by this dress made by Marie from A Stitching Odyssey. 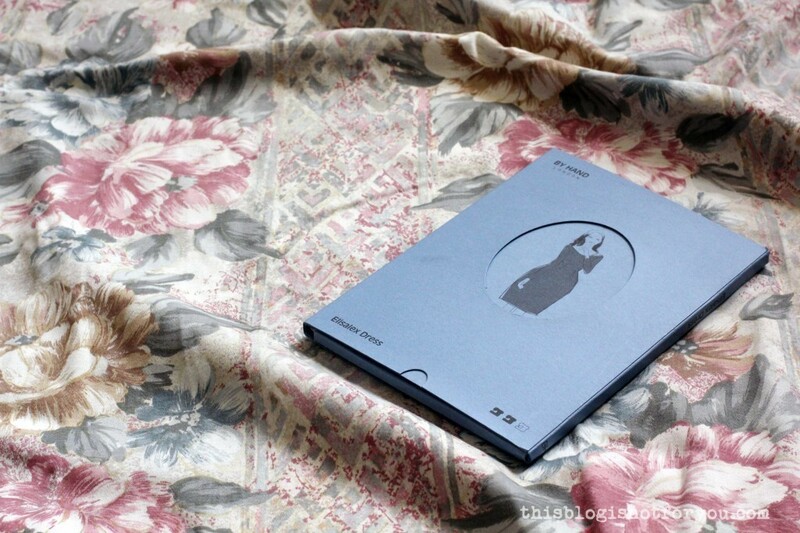 I was looking for some heavier curtain/upholstery fabric with a similar floral print but couldn’t find any that wasn’t incredibly expensive (20€/m, seriously?). Three weeks ago I saw some floral curtains in my favourite charity shop, both together for 12pounds. I immediately had to think of the Elisalex and how much I would pay for 3m of upholstery fabric, so this was a no brainer. At home I began to doubt my decision because, well, I knew I wouldn’t wear a dress that looked like refashioned curtains. Mr Thisblogisnotforyou reassured me that it doesn’t look like curtains if you don’t know it. Plus, the dress is super comfy. So I might wear it after all. I had so much fabric (4-5m), that I experimented a bit with the placement of the pattern pieces for the bodice until I was satisfied with it. 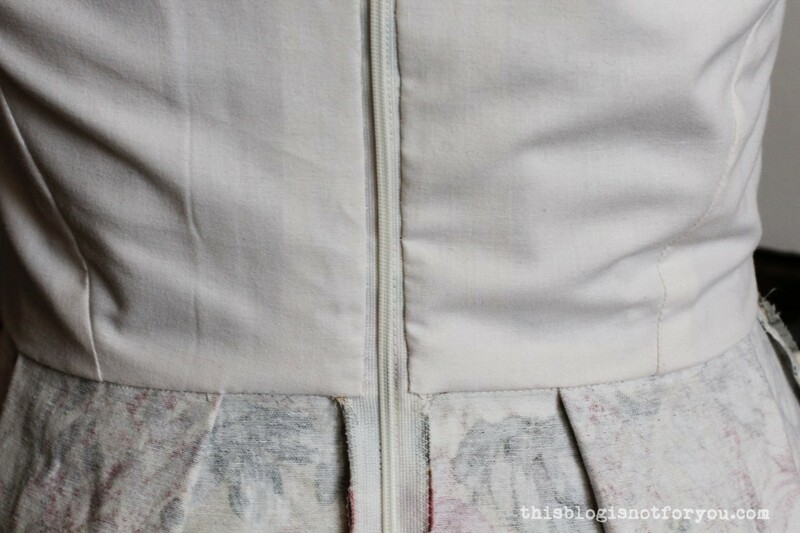 The fabric has vertical bands of flowers alternating with some sort of a chevron-style pattern in between. I used the chevron pattern for the side panels on the bodice and the front of the sleeves. Funnily they are placed exactly where the box pleats are on the skirt, so you only see a glimpse of them which I really like. 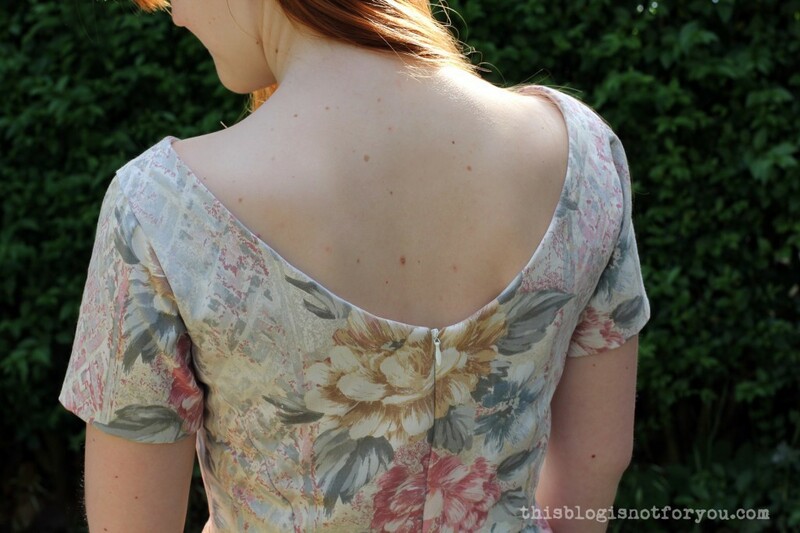 I just love the shape of the neckline in the back. 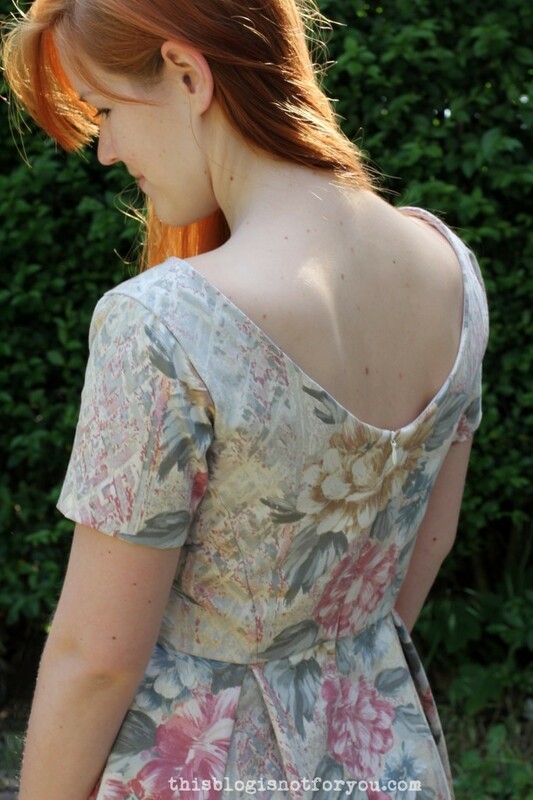 And hey, I really managed to match the pattern in the back! The bodice lining needs to be sewn on by hand which took quite a while, but you all know that I have a weird masochistic fondness for handsewing. It might not be everyone’s cup of tea, but I really like the shape of this dress. It’s perfect for making pear-shaped ladies look great. It accentuates the hips in a weird but also flattering way through the exaggerated curves at the hip which make the waist look really tiny and makes people think that there’s a very tiny bum hidden under all these pleats (that’s what I hope). 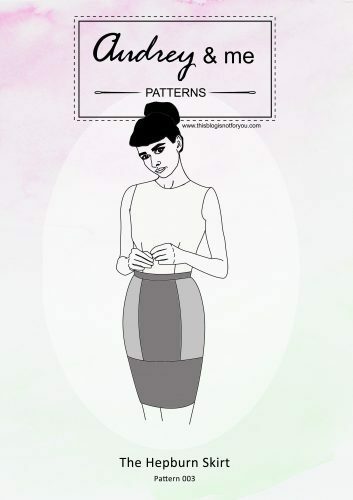 The only drawback of the pattern is that the lenth of the skirt is acutally 77cm, which I find is way too long and unflattering. It’s also a bit misleading that none of the pictures on the By Hand London website show the acutal length of the dress, but only shorter versions. The inobservant sewer might buy and cut out way too much fabric and end up chopping off half of the skirt. But that’s the only con, really. 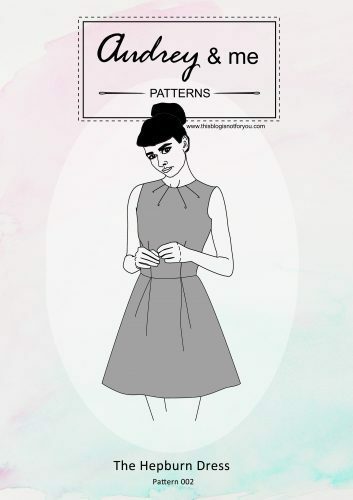 I love the Elisalex and will probably use this pattern (the bodice part for sure) for more dresses in the future! There’s a tree branch in our living room. Let’s hang it on the wall. Make the Cape: Hello Sewalongers! This dress is FAB! I love everything about it, and the inside is gorgeous too. I can’t believe those were curtains at all. And you’re right, the print on the side seam peeking out is just right. You really should go and get this pattern 😀 As far as I know it’s back in stock and it always sells out pretty quickly. 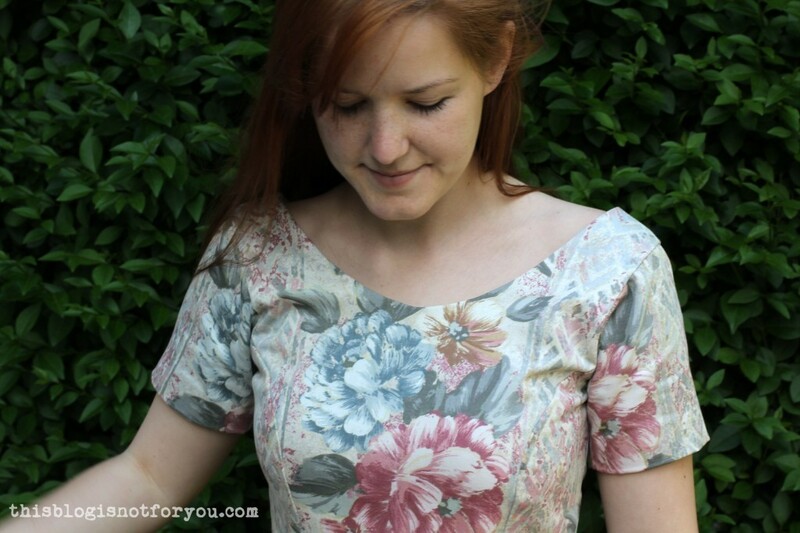 I just love the pattern and already made a second one – it’s THAT awesome! Absolutely stunning! 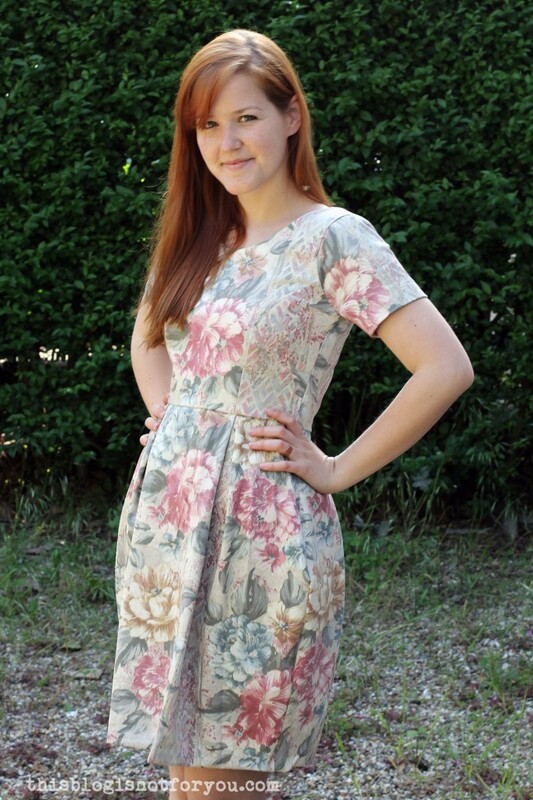 I love using curtain fabric for dresses and this looks gorgeous on you! This is gorgeous! I love your pattern matching on the back. Isn’t Elisalex a fab pattern? I bet you make more! Thank you, Lynne. Hehe, yes – #2 is already in the making! So nice to meet you – your dress was so pretty in person! Thanks, Clio! I loved your royal blue trousers!! Nice to meet you and your lovely Elisalex. I’m making a skirt from an old sofa throw I found in a charity shop. I started it months ago but haven’t finished it as other projects seem to push their way to the front. Love the fabric choice. High five on the pattern matching at the back!